Diesel LHD LoaderDescription of Diesel LHD Loader: This diesel-powered LHD loaders can be used to shovel, load and transport the loosen materials in mine and well.The underground diesel LHD (Load Haul Dumper) loader can also be applied to the tunnel engineering in railway, highway, and water conservation project, etc. It is especially suitable for working under the wicked condition, such as narrow, low-rise and muddy working places. LHD Loader ElectricalDescription of LHD Loader Electrical: This mining equipment can be used to pick, load and transport the loosen materials on the sport after the explosion. 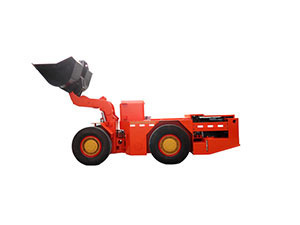 Every parts of this electric LHD (Load Haul Dumper) loader are equipped with outstanding performance. This underground mining equipment is a comprehensive machine. It can dig the soil, then transport and unload them to other place. Finally, this underground LHD (Load Haul Dumper) can fill and level the original place. 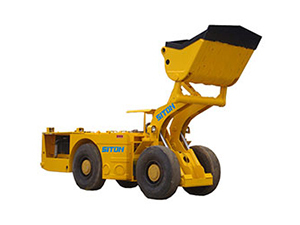 According to the driven model, this mining scooptram can be classified into LHD Loader Electrical and Diesel LHD Loader. Siton offers a range of underground mining loaders to match mineral conditions and maximize productivity. A range of size options and configurations are available to suit your specific needs. This underground mining can be used to shovel, load and transport the loosen materials in mine and well. This underground LHD (Load Haul Dumper) can also be applied to the tunnel engineering in railway, highway, and water conservation project, etc. This mining equipment loader LHD is especially suitable for working under the wicked condition, such as narrow, low-rise and muddy working places. 1. Underground mining loaders produced in Siton have the traits of powerful hydraulics deliver, excellent digging and lifting forces, high volume pumps and so on. 2. The large cylinders on this underground LHD (Load Haul Dumper) provide fast cycle times. 3. The joysticks feature easy operation and smooth control. 4. Z-bar linkage on this underground mining loader generates powerful breakout force and optimal loading angle. 5. Buckets are designed for optimal load ability and structural durability.